Upgrading your kitchen cabinets? How to spot true quality!Upgrading your kitchen cabinets? How to spot true quality! 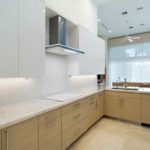 While there are many different types of kitchen cabinets available, most of them will be made out of either plywood or furniture board. Some cabinets may even be made out of a combination of the two. If durability is important to you (of course it is), you’ll want to look for kitchen cabinetry that features the highest level of quality in either material. Regardless of the choice, Schrapper’s backs up all of our cabinetry offerings with a Lifetime Warranty! Kitchen cabinets are made to be functional, hence you’ll be opening and closing them on a regular basis. That’s why the hinges that the cabinets are made of need to be high quality. We only offer cabinetry with soft-close hinges. These hinges are much less likely to become stiff or loose over time. They are also strong enough to prevent unevenness. Plus….no more slamming! When thinking about custom cabinets, you will probably think that a stained wood veneer interior looks better than a melamine interior. However, this interior solution definitely won’t work in your favor in the long run. Stained wood veneer interiors naturally absorb water which means they will be difficult to clean, and they will also absorb stains and dirt. Melamine, on the other hand, is stain resistant, water resistant and can tolerate the vast majority of cleaning chemicals. 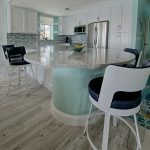 Looking for the most gorgeous kitchen cabinetry Jupiter, FL, has to offer? 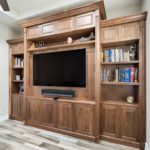 Schrapper’s Fine Cabinetry, Inc. has you covered. 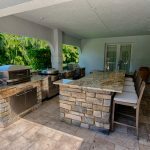 As experts in kitchen design and kitchen remodel services, we can help transform your culinary paradise according to your vision. Contact us today to learn more.